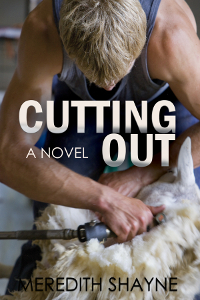 The final judging of a shearing competition comes down to time, and also penalties. The judges are looking for high-quality shearing, they don’t want a fleece full of holes, or a fleece that contains bits that have been shorn in such a way they can’t be spun for yarn, or wool with skin attached. If your sheep gets away from you, or if you treat it roughly, you’re penalised; if you shear outside of the allotted times, you’re penalised; if you leave too much wool on the sheep, or if you cut its skin, you’re penalised; there’s a whole list of dos and don’ts associated with winning a title. 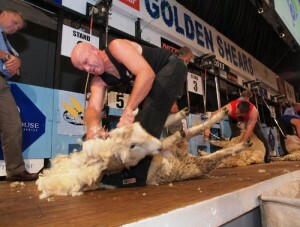 It’s not just shearing that’s assessed at these competitions, either. 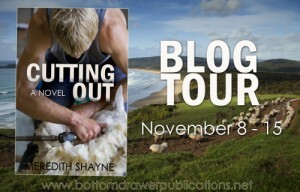 Wool handlers and wool pressers get a chance to strut their stuff as well, making competitions an all-round kind of way for the shearing fraternity to get together and spend the day trying to beat the pants off each other, and have a good time doing it.